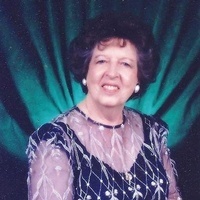 Esther Mae Crownover, 93, of McArthur, passed away Monday, January 21, 2019 at Riverside Methodist Hospital in Columbus. She was born November 9, 1925 in Wilmington, Ohio, daughter of the late Robert and Myrtle Shaw Rutledge. Esther was the widow of the late Leo L. Crownover. Along with her husband, she owned and operated Crownover Lumber Company Incorporated in McArthur. Esther was a member of the First Christian Church in McArthur, a member of the Red Hat Society and a member of the United States Trotting Association. She was a former board member of the Vinton County National Bank and a former board member of the Community Bank Shares. Esther is survived by her sons, Lundy (Cheryl) Crownover of Chillicothe and Reid Crownover of Lynchburg, Ohio; grandchildren, Brad Crownover of Yonkers, New York and Brody Crownover of Chillicothe; great grandchildren, Kaitlyn and Mikayla Crownover; brother, Rodney (Gloria) Rutledge of Wilmington, Ohio and several niece, nephews, cousins and dear friends, including her dear friends, Eleanor Benedict, Ruth Will, Mildred “Millie” Kohn and Bette Foster. In addition to her parents and husband, she was preceded in death by two grandsons. Funeral services will be held 11 a.m., Friday, January 25, 2019 in the First Christian Church, 207 E. High St., McArthur, with Elder Chuck Fri officiating. Interment will be in Elk Cemetery, McArthur. Friends may call at the Garrett-Cardaras Funeral Home, 201 W. High St., McArthur, on Thursday, from 5-7 p.m. The family suggests memorial contributions be made in memory of Esther Mae Crownover to the Leo and Esther Crownover Endowed Scholarship Fund, Wilmington College at Pyle Center Box 1307, 1870 Quaker Way, Wilmington, Ohio 45177 or the Leo and Esther Crownover Memorial Scholarship Fund, University of Rio Grande, P.O. Box 500, Rio Grande, Ohio 45674. 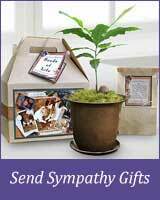 © Copyright 2012 - 19 Cardaras Funeral Homes. All Rights Reserved.